A sweet juicy fruit that has skin that ranges from white to rich yellow to reddish brown and flesh that ranges from yellow to deep gold and red. The skins have a soft, fuzzy surface and the fruit contains a large pit in the middle, often surrounded by a darkened red flesh. 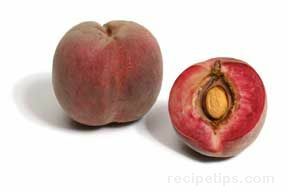 This red flesh is more bitter tasting than the flesh around it, which is why some recipes may suggest removing the red fleshed area in the yellow-fleshed peach before it is prepared as an ingredient. There are many different varieties of peaches grown today, all of which are generally classified as clingstone, freestone, or semi-freestone. Clingstones have stones or pits that cling to the flesh of the peach while freestones are easily separated from the flesh. Semi-freestones, which are smaller sized than freestones, are hybrids of the clingstone and freestones, but have a stone that detaches quite easily from the flesh. Most often peaches are sold not by variety but by the color of their flesh: white, yellow or red. 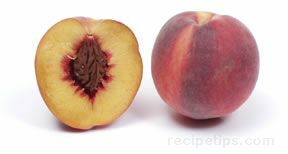 A white peach has a very similar flavor to the yellow peach, just a different color of flesh, while the red-fleshed peach is more tart in flavor. 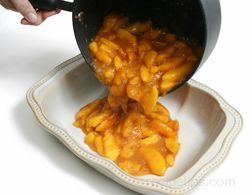 Peaches are a popular fruit used for many purposes, such as in desserts, pies, puddings, cobblers, shortcakes, salads, as breakfast toppings, for canning and to just enjoy eaten fresh out of the hand. They are available May through October but their peak season is July and August. Dried peaches are also available in slices, diced pieces and ground. They have a sweet tart flavor and are treated with sulfur dioxide to retain coloring. 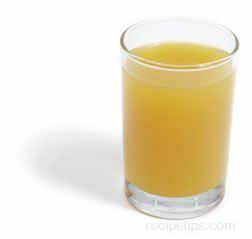 To peel a fresh peach, plunge into boiling water for 30 seconds and then remove and cool in cold water. Drain water and pull skin off with a paring knife. 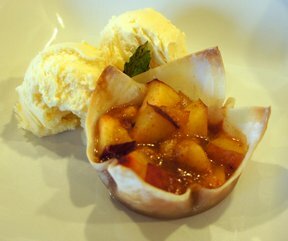 To remove the pit, cut the peach in half down to the pit using a small knife. Pull the pit out or use the knife to pry it out.